The PlayStation Vita is still getting some much-deserved love and attention. 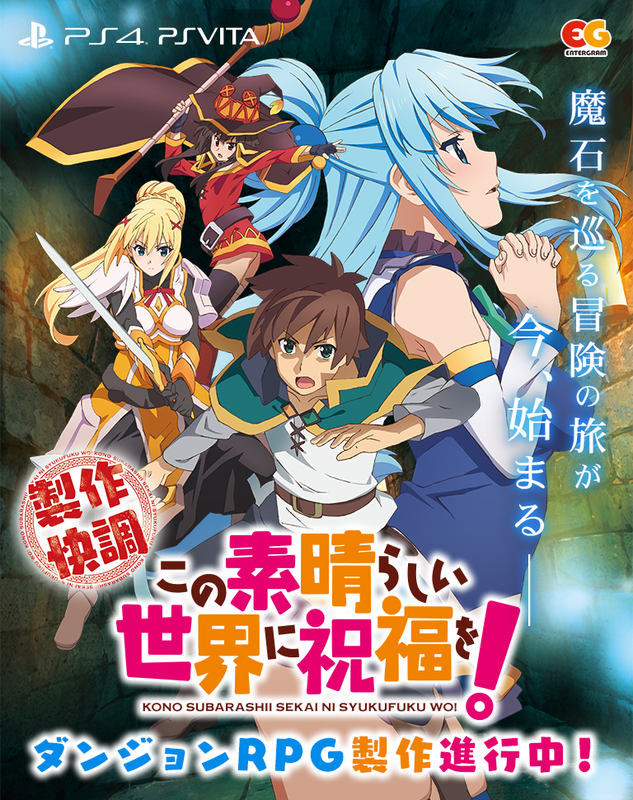 The folks at Entergram announced yesterday that they will be bringing a KonoSuba: God’s Blessing on this Wonderful World! title to the PlayStation 4 and Vita systems at some point in the future. This appears to be a first-person, dungeon-crawler RPG. This writer can’t help but think of Etrian Odyssey titles when watching the trailer. It should be noted that an official title for the game has not been finalized, nor has a release date been given. In the meantime, we’ve been graced with a teaser-trailer featuring the opening theme. Please stay tuned for more information as it is made available. In the meantime, head on over to the game’s official site for a closer look.